There could be more habitable planets out there than we thought. An analysis of data from the Kepler space telescope has revealed 20 promising worlds that might be able to host life. The list of potential worlds includes several planets that orbit stars like our sun. Some take a relatively long time to complete a single orbit, with the longest taking 395 Earth days and others taking Earth weeks or months. The fastest orbit is 18 Earth days. This is very different to the very short “years” we see around smaller stars with habitable planets like Proxima Centauri. The exoplanet with a 395-day year is one of the most promising worlds for life on the list, says Jeff Coughlin, a Kepler team lead who helped find the potential planets. Called KOI-7923.01, it is 97 per cent the size of Earth, but a little colder.Its cooler temperature is due to its distance from its star and the fact that the star is slightly cooler than our sun. This means it may be a little more like tundra regions on Earth than temperate ones, but is still warm enough and large enough to hold the liquid water essential to life as we know it. “If you had to choose one to send a spacecraft to, it’s not a bad option,” says Coughlin. The team is 70 to 80 per cent certain that these are solid candidates, he says. They can’t be confirmed yet as more observations are needed: the planets all come from the original Kepler mission, which stared at the same region of the sky for only four years before its aiming ability was crippled when its reaction wheels broke in 2013. This means that we have only seen each of these planets once or twice due to their long orbits, and the signals could be a little wobbly. Ground-based observatories or the Hubble Space Telescope will have to take more observations over the coming years to double-check, Coughlin says. The short observation period is also the reason the planets weren’t spotted earlier: the team needed more datasets to allow comparisons that drew out these hidden planets and separated real signals from false alerts on some of the “noisiest” datasets. “I believe that this is a much improved catalogue so I’m eager to explore it further,” says Abel Mendez, director of the Planetary Habitability Lab at Arecibo Observatory. In order to build the list, the Kepler team mixed up signals from the potential exoplanets, several that had already been confirmed and a few fake ones. The fake planets helped check for errors and rule out bad signals, winnowing the list down to 20 candidates, including one just a little bigger than Mercury. 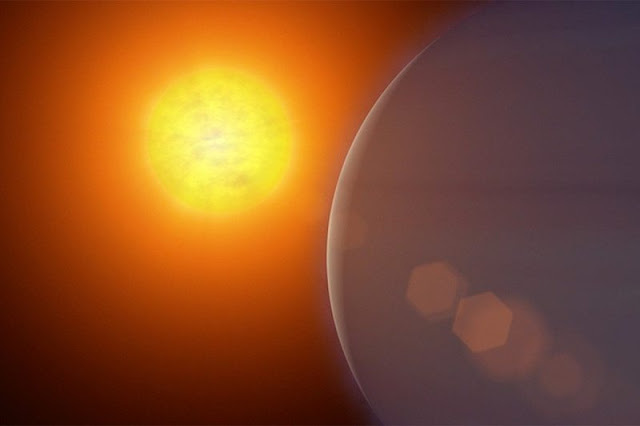 If confirmed, Mendez says that these would be some of the most promising worlds out there to host life because of their long years and sun-like stars.